Still, Aldi's market share in the Twin Cities (about 3%) is a fraction of Cub's (about 20%), according to Chain Store Guide's 2016 market share report. In the last three years, Supervalu (Cub's parent company, now owned by UNFI) has remodeled nearly 30 Cub stores across the state, although the stores remain open during the remodel. Aldi's store size is also significantly smaller than Cub's. Its newest stores are about 10,000 to 12,000 square feet while new Cub and Hy-Vee stores range from 60,000 to 95,000. Phil Lempert, a supermarket analyst and founder of Supermarketguru.com, believes that a 12,000 square feet size fits many consumers just fine. "While there were some complaints about smaller selection, Aldi has altered to respond by increasing produce (including organics) and frozens," Lempert said in an email. In early May, Cub will join the mini-store trend by opening its smallest store, a 46,000 square feet footprint in a mixed use building at 46th and Hiawatha in Minneapolis. Aldi's remodeling of its stores and expanding its grocery selection is paying off. "We are seeing significant growth in key markets such as Minnesota, California, Texas, the Carolinas, Georgia and New York," said Matt Lilla, divisional vice-president of Aldi's Faribault division. "Our expansion is all about reaching new shoppers and it's working." Many of its new customers are in the suburbs where Aldi is gaining appeal by offering more organic produce and meats, fresh "never frozen" seafood, and gluten-free items. "It is noteworthy in that it means shoppers are able to find these products at Aldi, giving them one less reason to shop at a conventional supermarket," said Brian Numainville, principal at the Retail Feedback Group. In a recent survey conducted by the Retail Feedback Group, Aldi scored higher than Walmart and conventional supermarkets in categories such as value for money spent, checkout speed and efficiency, plan to shop there more, and more likely to recommend the store. 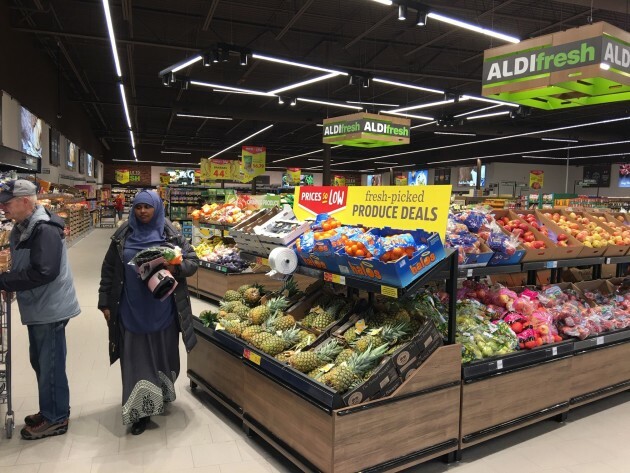 "All of this amounts to a win for Aldi as they continue to add and remodel stores throughout the country," said Numainville.